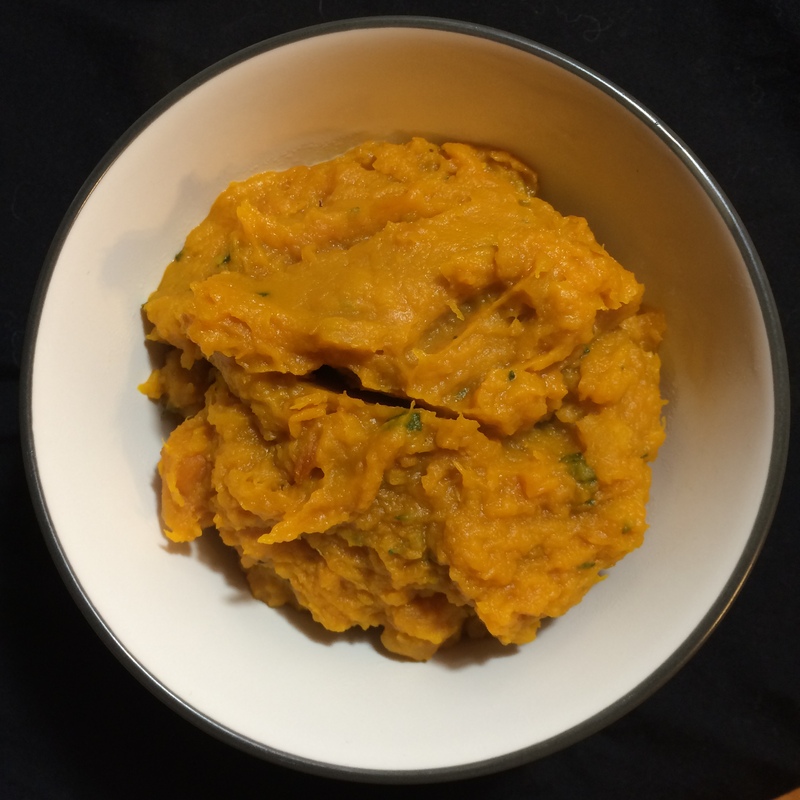 Where oh where would Thanksgiving be without the squash? My love for these fibrous, flavorful and filling fruits begins in the summertime with zucchinis and summer squashes, but what I really spend my time looking forward to is the fall and winter squashes that each offer a different taste and application. This fall, I committed myself to learning about unique squash varieties and how to best use them. 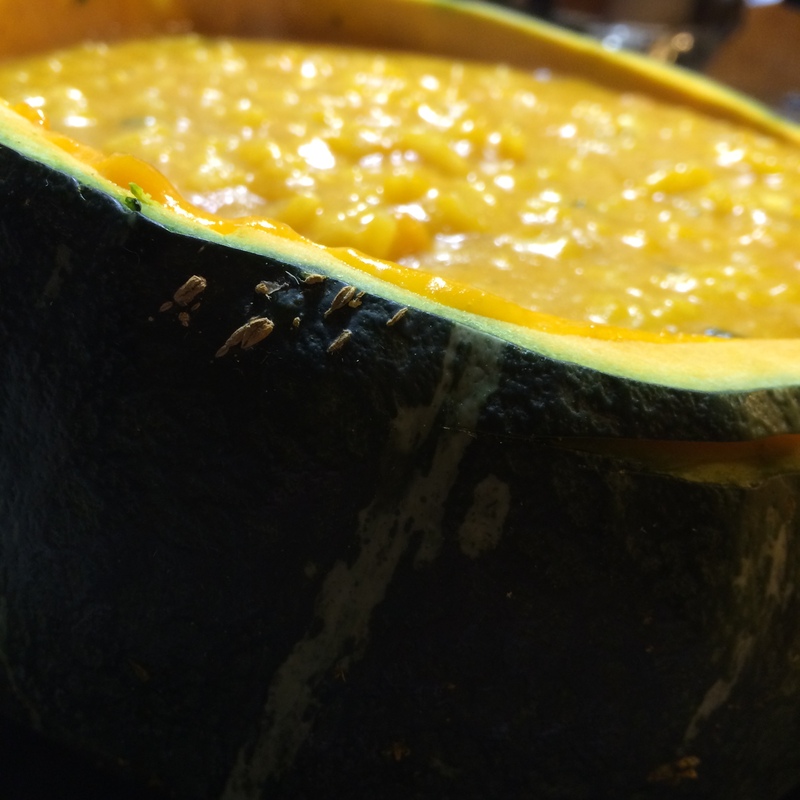 I had always been a Butternut/Acorn/Spaghetti squash kind of girl, but now I’ve discovered Delicata, Sweet Dumpling, Sugar Pumpkin, Carnival and, of course, Buttercup squashes, and can’t get enough of them. They’re sweet in different ways and each add something unique to dishes. They also all go well with butter. Mmmm butter. Bring this recipe to the Thanksgiving table and I assure you people won’t be able to get enough of it. 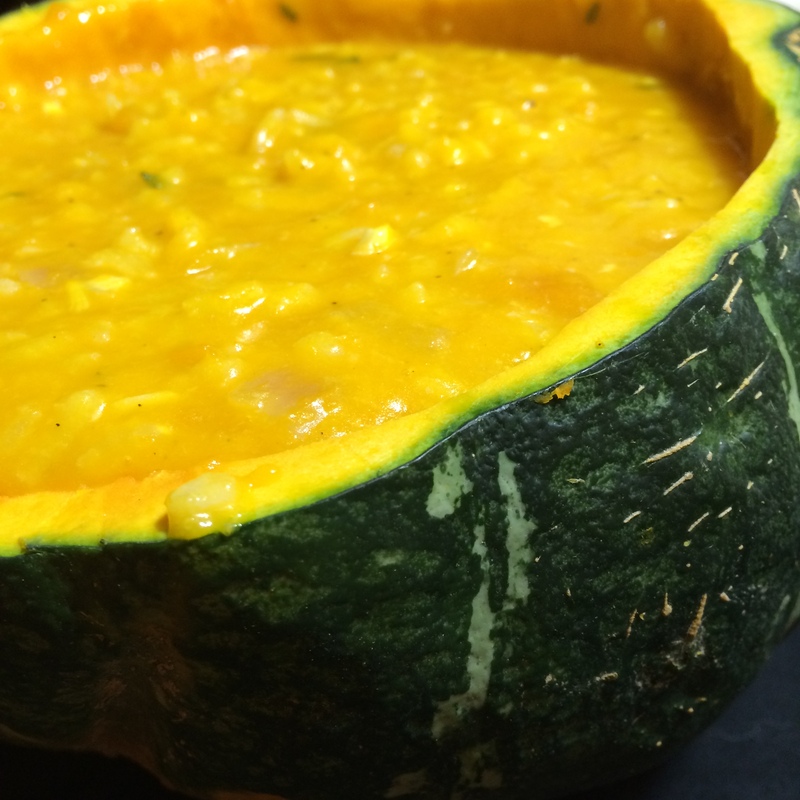 Risotto is a delectable dish on its own, but infused with a flavorful homemade vegetable broth and creamy herbed squash, it really delivers. 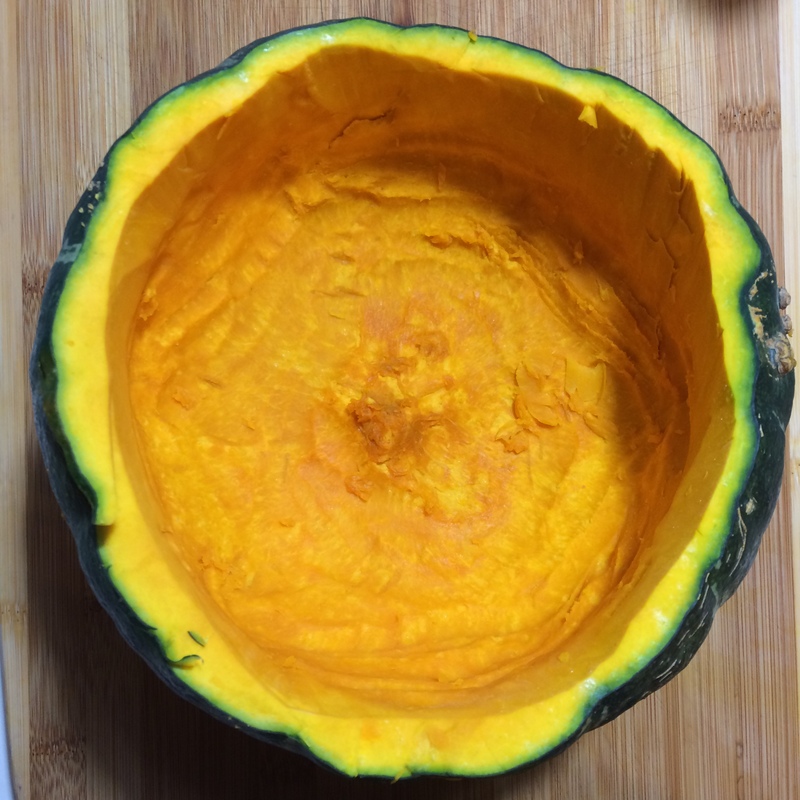 Plus, you can serve it right inside the large, hollowed-out shell of the buttercup squash – how cool is that? This dish is really great because you make your own vegetable broth in which to cook the risotto rice. 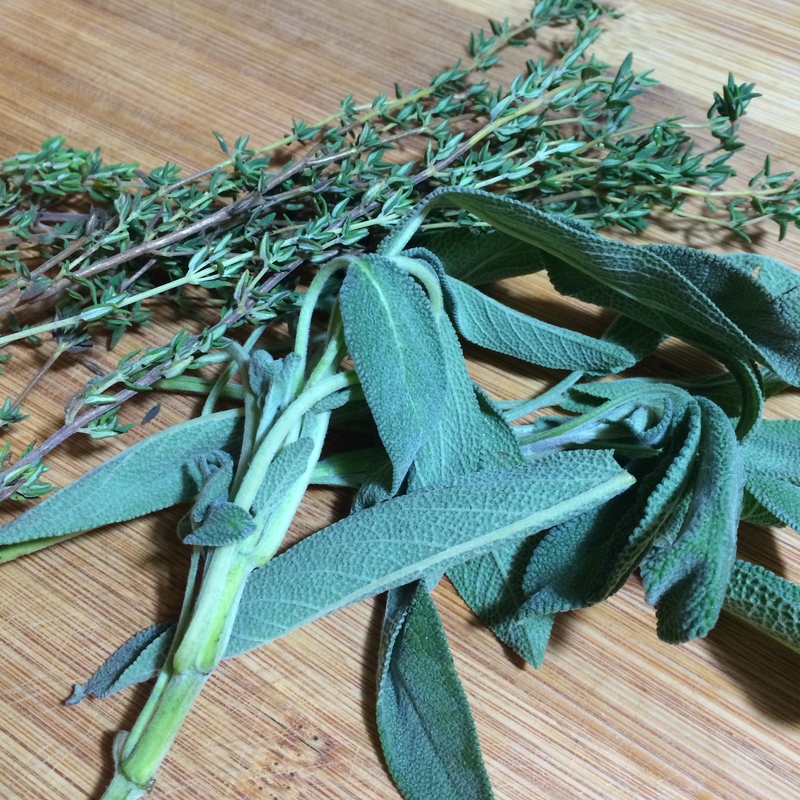 I made a leek, onion, tomato and jalapeno broth – super easy and very flavorful. Simply fill a large, 5-6 quart sauce pot about 3/4 of the way with water, cover and bring to a boil. 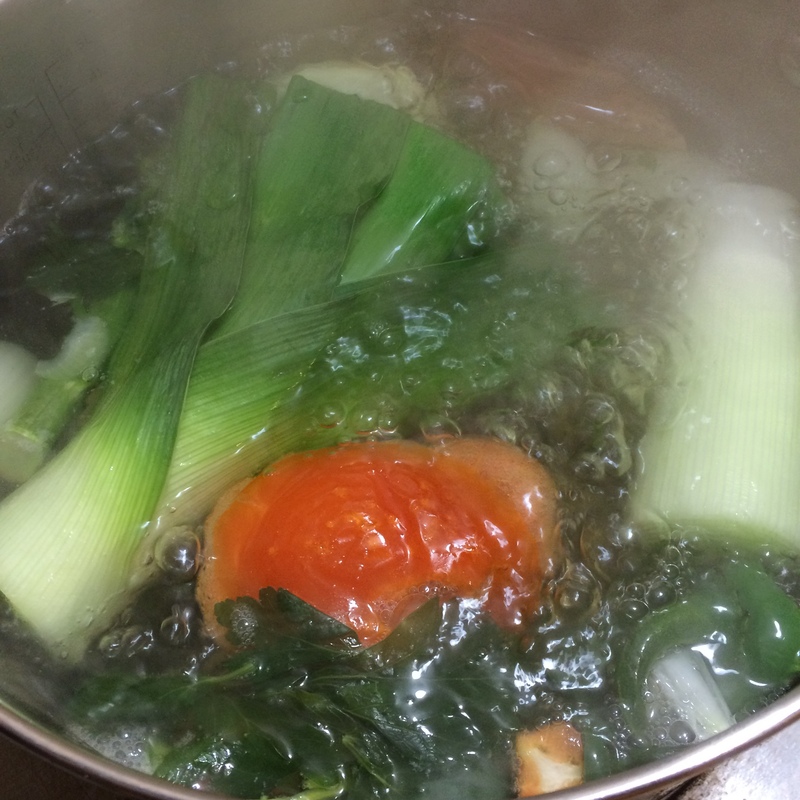 Once boiling, add the leek, 1/2 of the onion (leave on the skin and papery shell), tomato and jalapeno, and continue boiling until the veggies are flimsy-soft and the water is fragrant and colored with vegetable leavings. Strain the broth over a separate, smaller pot to separate the vegetables from the broth. Discard the vegetables and set aside the finished broth. 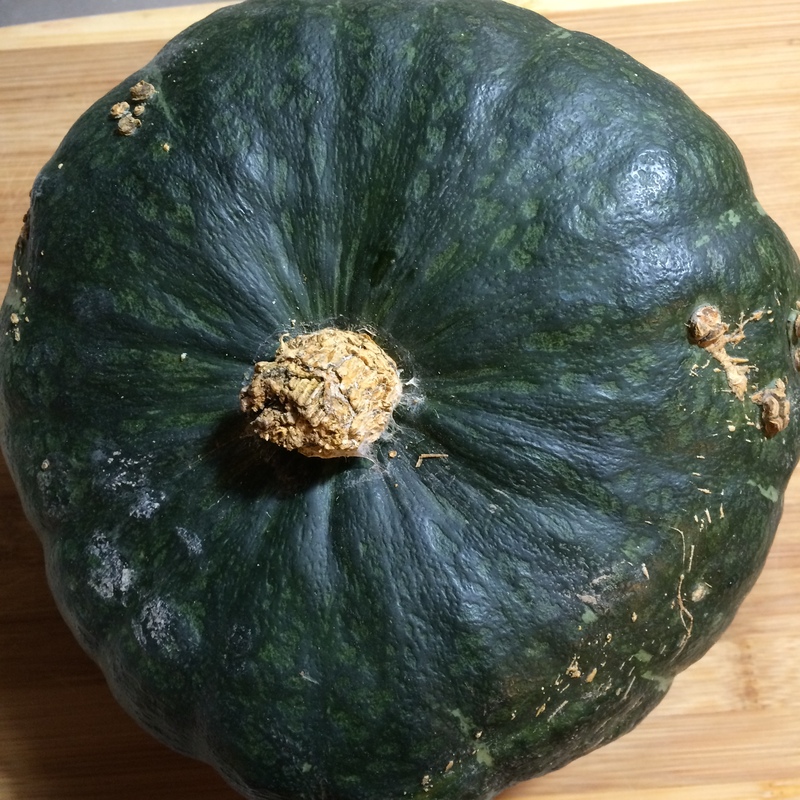 While the broth is boiling, take your seeded Buttercup Squash and begin scraping away the inside flesh of the squash to remove as much of the fruit as you can. I also sliced around the inside perimeter of the squash with a sharp knife to remove the flesh. Otherwise, a spoon and a strong arm will do the trick. Dice up any large pieces of squash and place all the squash flesh (should be about 2 cups) into a medium sauce pot. Add the butter, chopped herbs and salt and pepper, cover and heat on low, stirring occasionally to mix the melting butter and herbs. 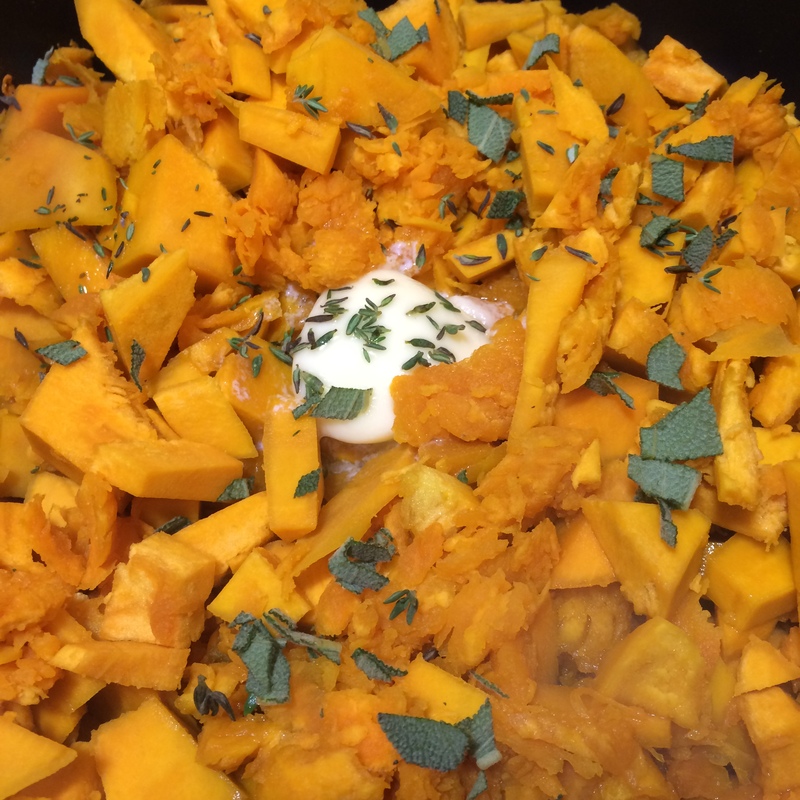 Once the squash has cooked through and any large chunks have softened and can be easily mashed into the overall mixture, remove the squash from heat and set aside, leaving the cover on. In a large stir fry pan, heat olive oil on medium and add the shallot, the diced other half of the onion, and the garlic, and simmer for about 30 seconds until the onion becomes translucent and soft. Add the risotto rice and mix well. Add the white wine and stir constantly until the liquid begins to burn off. Now, add the vegetable broth one cup at a time until you have added 6 cups. Only add a new cup once the liquid has begun to burn off. Stir constantly after adding each new cup. This slow-cooking method will infuse the rice with flavor and plump it up to create a very filling and flavorful dish. Once you have stirred in the 6th cup of broth, add the squash mixture and the Parmesan cheese, stirring well to mix everything together evenly. Then, pour the entire mixture into the hollowed-out squash, and serve! Pro Tip: Cut your cooking time down by a lot by making a large batch of vegetable broth ahead of time and freezing it or just leaving it in the fridge if you’re going to use it in a short time. Pick your favorite veggies or use a combination of leftover trimmings from previous dinners and throw them into the boiling water!